3 veterinary tech trends you need to know about! In an industry that is constantly evolving, with digital technology changing the way we do everything both in and out of the practice, here’s a snapshot of the top tech trends that are upon us, that you absolutely need to know about! Content nowadays is everything and recent research shows that by 2019, 80% of global internet traffic will be video. Moving pictures replacing words – it’s the way forward and it’s no different for our industry or our relationship with clients and their pets. The dawning of virtual visits to the vet is upon us. Apps such Vet on Demand is an example of how technology is making it possible for us to visit the vet, virtually. This practice in the US has introduced the Virtual Pet Visits service, using Skype to host video chats where vets can see the pet and offer a degree of care and advice without the owner having to visit the practice. And it’s not just virtual visits. Technology is being used in a whole host of different ways to make it easier for pet owners to access veterinary care. Pawssum launched last year in Australia, a new app which brings veterinary specialists to the comfort of the owner’s home. The app co-founders set up the app to create a convenient and stress-free service for pet owners. US based Vet24seven.com offers virtual consultations between vets and pet owners, tapping into the trend of more people using smart phones, tablets and laptops to obtain medical services including online consultations. We’re all familiar with the Apple Watch and the Fitbit, so the notion of wearables for pets doesn’t feel that alien. In fact it makes perfect sense. A growing range of pet wearables now allows pet owners to monitor where the pet is, the amount of exercise they’re taking, nutritional intake, hydration levels, sleeping patterns and even the animal’s emotional state. 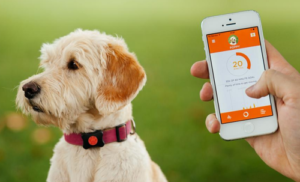 Earlier this year, insurance giant RSA invested in a company called PitPatPet, which makes the PitPat, a wearable activity monitor for dogs which can feed back information on the dog’s activity level and food intake. The link to insurance? Well, healthier dogs can earn owners a lower pet-insurance premium. 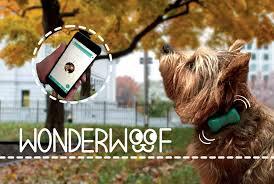 Then there’s Wonderwoof, a connected accessory for dogs that monitors their activity in real time, helping to improve health, and allows owners to meet other dog-lovers in the area with map-enabled social features. One of the best features of the wearables is the integrated calendars which set alert reminders for vaccines, flea and worming treatments, encouraging pet owners to be more responsible for their pet’s care and wellbeing and of course keep that pet owner/vet relationship strong. A biggie (of course we would say that – we’ve masterminded the first ever canine arthritis management app!) but apps really have enabled the profession to make a huge leap forward in providing animals with better care, especially in relation to preventative treatment and ongoing management of conditions. 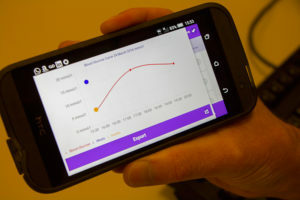 Last year the Royal Veterinary College launched a revolutionary Pet Diabetes App which not only brings diabetes management in animals into the 21st century. The app helps to ensure that pets with diabetes enjoy a good quality of life but also helps to aid continual research into the condition. The data generated by many of the apps aimed at pet owners makes it a lot easier for people to keep on top of the general health and wellbeing of their pet. 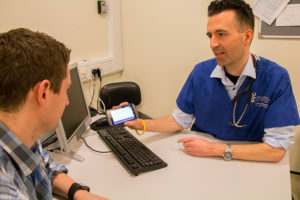 Vets now have access to hundreds of apps which are geared towards diagnosis and treatment and apps have become valuable tools for practices, helping clients make appointments, find information, store a pet’s medical information, refill prescriptions, offer emergency out of hours information and of course market themselves. Community of course is everything online and one of the most popular apps for vets is ViralVet, which allows vets all over the world to share images and videos and discuss interesting and challenging cases with veterinary colleagues. The range and the scale of the technology available to us, and our clients is astounding. 10 years ago we would never have imagined that technology would make life so much easier for accessing information, logging data and managing cases. It’s no longer a shiny new thing on the horizon; it’s here and it’s happening now, offering us opportunities we never would have thought possible. 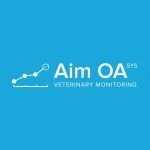 If you haven’t had a look at the AIM OA Sys tool for managing canine arthritis then please do dip your toe in the future. 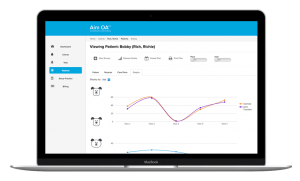 This is the first ever online tool which has been developed to help pet owners and vets work together to manage canine arthritis and improve the quality of life for the arthritic patient. It follows a multi-modal approach, it’s been described as groundbreaking and revolutionary and it’s being adopted now by practices all over the UK.